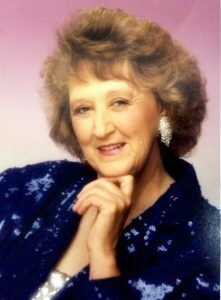 A Celebration of Life service for Barbara Sue Hensley Lee, 80, Springfield, Missouri, will be held at 1:00 p.m., Saturday, May 11, 2019 in the Rose Chapel at Robertson-Drago Funeral Home. Barbara went to be with the Lord at 3:50 a.m., Tuesday, April 9, 2019 at Glendale Gardens, Springfield, Missouri. She was born April 24, 1939, at Pottersville, Missouri, to Walter Silas Hensley and Vernie Edna Davis Hensley. A graduate of Bakersfield High School, Barbara began her career as a legal secretary in West Plains, then in Springfield and moving back to West Plains where she worked for the City of West Plains before becoming manager of the West Plains Housing Authority. After leaving the housing authority, Barbara became personal secretary to the Dean of the civil engineering department at the University of Missouri at the Rolla campus. While at UMR she became a certified professional secretary and was a member and secretary of the Rolla chapter of the National Secretaries Association. In 1992, she became office manager for Losh Communications in Springfield, retiring in 2007. Barbara was a long time member of the Broadway United Methodist Church, Springfield. She is survived by two sisters, Shirley Callahan, West Plains and Violet Losh, Springfield; and many nieces and nephews. Her parents, one son, Stan Lee, three brothers, Thurman, Neil and Lowell Hensley and five sisters, Charlene Huffman, Dorothy Spencer, Ruby Huffman, Irene White and Mildred Rutan, preceded her in death. Burial will be in the Pottersville Cemetery. Memorial contributions may be made to Pottersville Cemetery and may be left at Robertson-Drago Funeral Home.